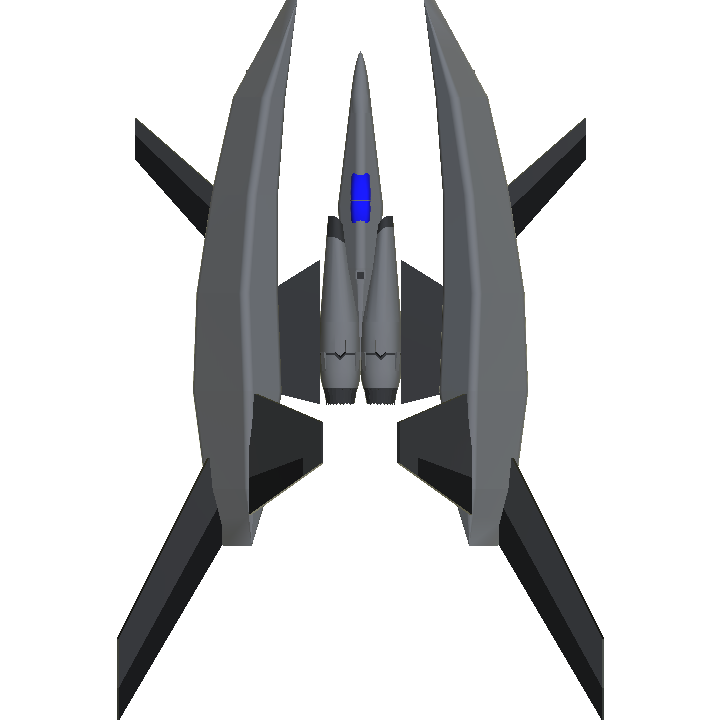 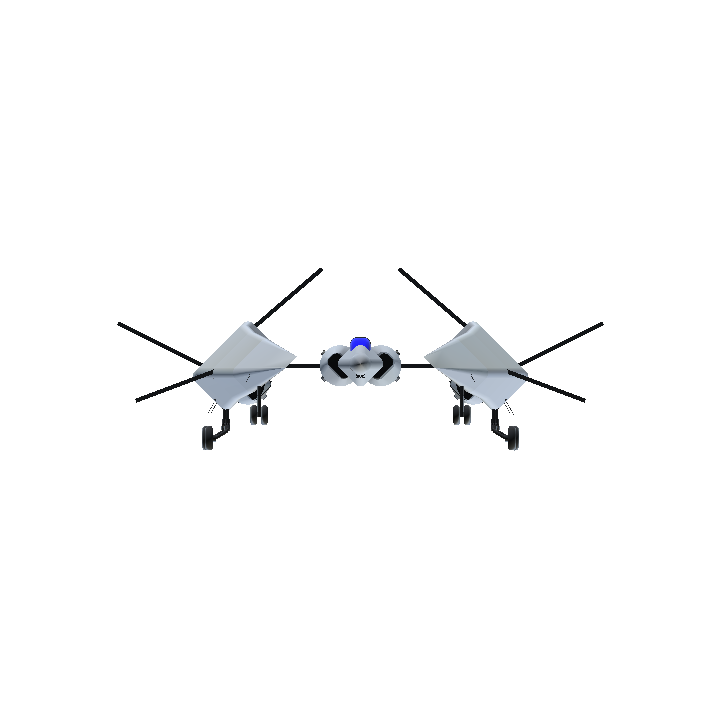 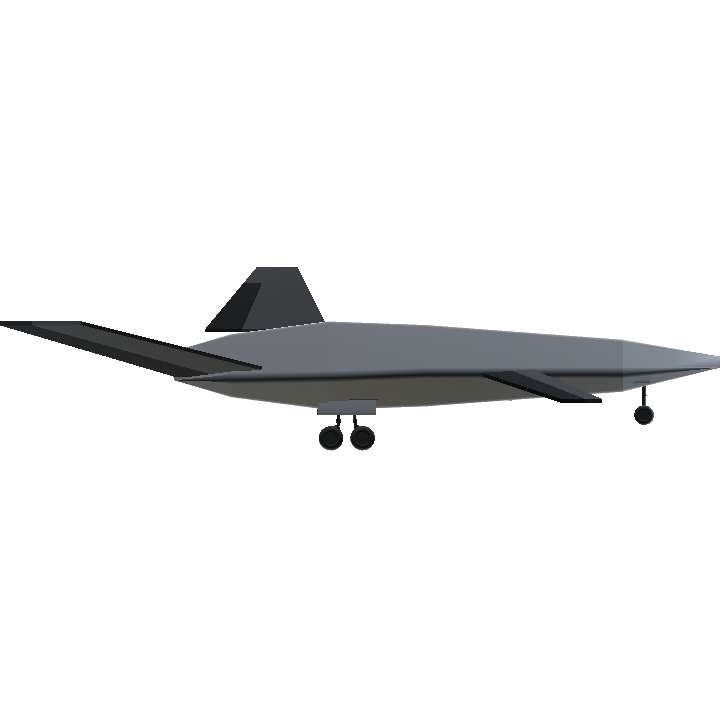 Gladius is a recent concept Rainier created, utilizing a lifting body "pincer" design that houses room for tons of fuel and weapons giving Gladius an incredibly long range. 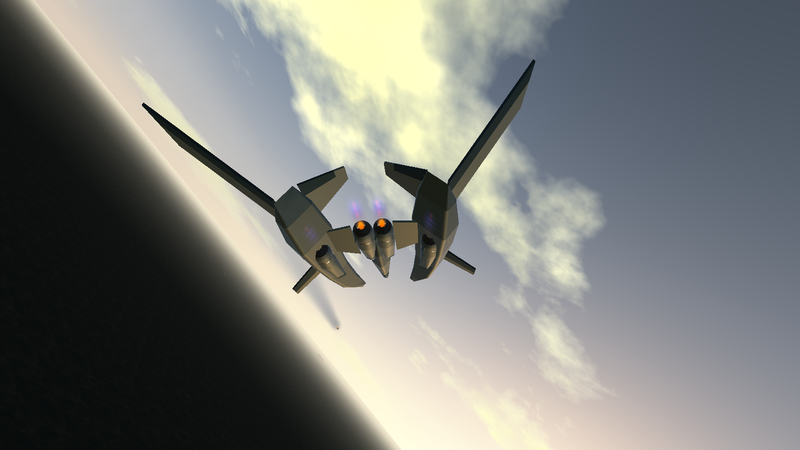 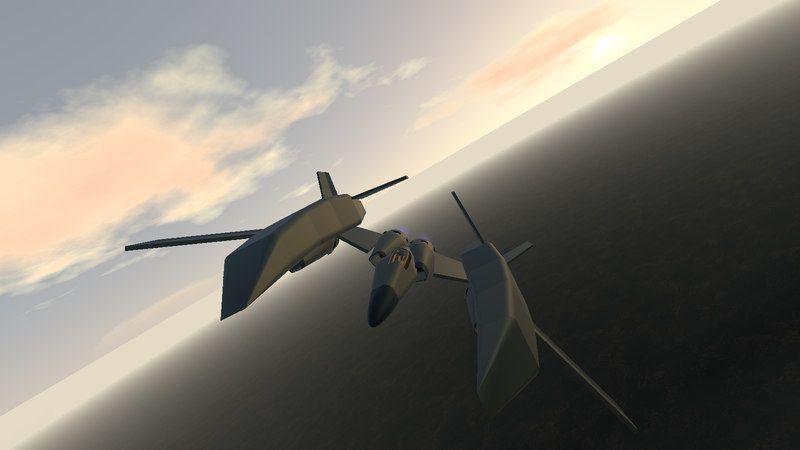 Due to part limitation and xml-modding being barred from the challenge, Gladius is severely nerfed, but the official version (which I plan on making) will only have 2 powerful turbofan engines, twin pulse lasers, and rotator-controlled flight control surfaces. 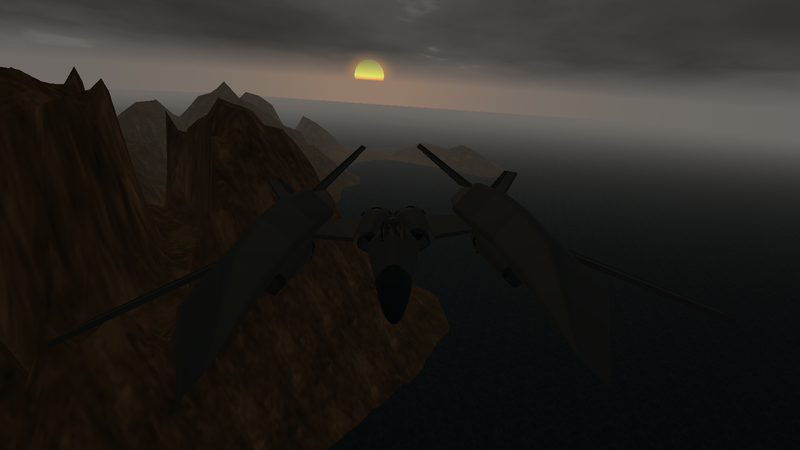 This is actually a tribute or "homage" to the XF-0002 Phosphorus (aka Vic Viper), a super-fighter from an old Xbox air combat game called "Air Force Delta Storm", which was the first aircraft-related game I ever played and fell in love with.